In the photographic sciences major, photography is used to advance science, and imaging is used to collect scientific data. Students integrate complementary studies that may include imaging science, information technology, computer science, optics, and biology to solve imaging problems and advance photographic technology. The photographic sciences major offers an immersive and flexible curriculum that prepares students for a wide variety of photographic and imaging careers spanning the broad fields of science, technology, and medicine. The major provides strong foundational experiences in applied technical photography and explores contemporary imaging technologies, professional practices, and problem-solving. Classroom experiences are focused on preparing students for a wide range of employment opportunities in science or industry. Cooperative education is required and enables students to gain valuable career experience in their field of primary interest. During the first two years, students are immersed in technical applications of scientific photography courses while also pursuing courses in laboratory sciences, such as physics or biology, chosen to complement their career goals. General education requirements encourage students to integrate complementary studies in subjects such as imaging science, information technology, or developmental biology to best prepare for exciting and evolving opportunities. It is common for graduates to pursue advanced degrees including optics, imaging science, and medicine. Recent employers include imaging companies, universities and research centers, camera companies, forensic laboratories, and government agencies. NASA, Apple, Mayo Clinic, Carl Zeiss Microscopy, Harvard University, the National Geospatial Intelligence Agency, and Canon have all hired graduates of this major. In the photographic sciences major, photography is used to advance science, and imaging is used to collect scientific data. The foundational courses teach students how tools and methods are used to solve imaging problems and advance photographic technology. Students are able to create a flexible curriculum drawing on required and elective courses from the program. Guided by faculty, industry professionals, and required cooperative education, students are prepared for diverse careers in technical imaging and applied photography. Students may elect to choose one of two options within the major. Biomedical photographic communications option – This option prepares students for photographic careers in a wide variety of environments including forensic and research laboratories, hospitals, and other biological settings such as ophthalmic (eye) clinics and veterinary research schools, or in other life science situations such as pharmaceutical companies. 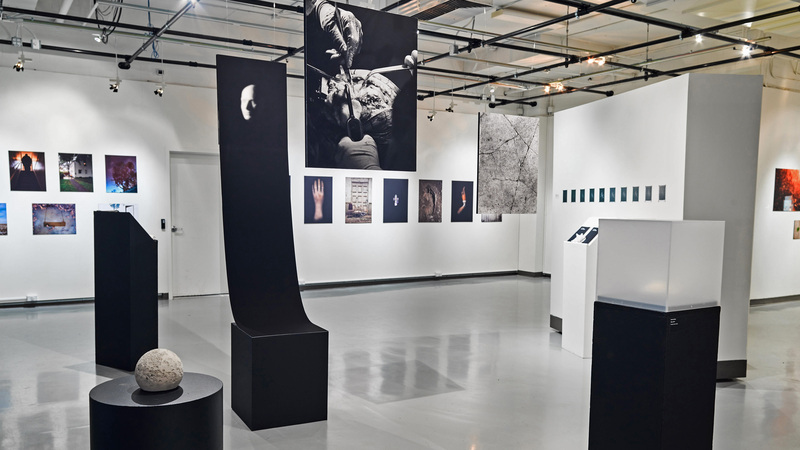 All students in the photographic sciences degree share foundational courses in combination with practical experiences using digital photographic equipment and processes, that include still and moving media, as well as digital media applications. Additional elective courses in the life sciences prepare students for work assignments such as creating images useful for scientists or biological research. Students can specialize in light and confocal microscopy, scanning electron microscopy, and ophthalmic imaging. Course work can be used to assist in the preparation for certification as a Certified Retinal Angiographer (CRA), administered by the Ophthalmic Photographer’s Society. Imaging and photographic technology option – This option prepares students for imaging or image analysis careers in governmental agencies, industrial or corporate environments such as Apple Inc., NVIDIA, and NASA. The third and fourth years allow students to build on a strong foundation of photographic technology, creating areas of specialization that include color measurement, high-speed imaging, optics and camera testing, and image analysis. Complementary courses include programming for imaging, physics, and applications of color in imaging. These courses provide hands-on exposure using modern tools and techniques. Students may choose from a variety of electives including scanning electron microscopy, high-speed photography, and imaging science, as well as image quality and color measurement and management. Many students have also taken advantage of the imaging systems minor to complete a unique education only available at RIT. Students are required to complete one cooperative education experience. Co-ops are paid, professional, full- or part-time positions that offer an opportunity for students to gain experience in the field. They are generally completed between the second and third academic years. The Office of Career Services and Cooperative Education assists students in identifying and applying to co-op placements. Some recent co-op placements, as well as permanent job placements, include Harvard University, the Mayo Clinic, Smithsonian, Georgetown University, Case Western Reserve University, NASA, Imatest, Carl Zeiss Microscopy, FBI, Nikon Scientific Instruments, Apple Inc., and NVIDIA. RIT has long-standing tradition of capturing of photographing bullets in flight in the High-speed Photography class. 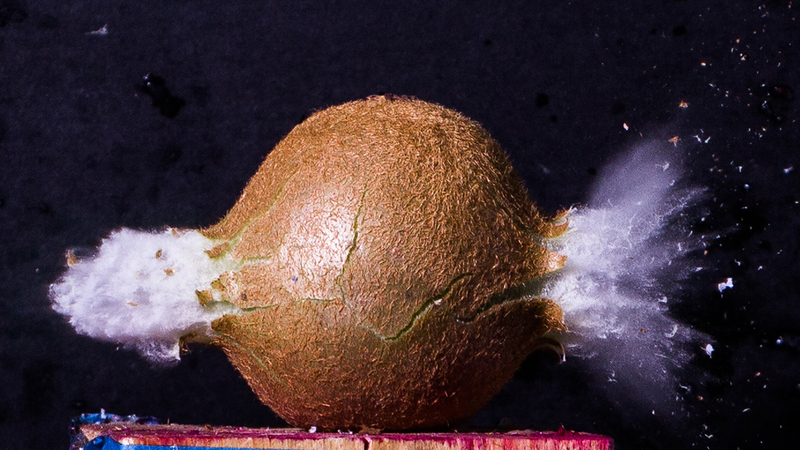 The main image of a bullet going through a kiwi is by Alexandra Shipman. Blog post by Ted Kinsman, an assistant professor of photographic technology, published in PetaPixel. Students from RIT's photography school — along with those from other disciplines across campus — filled a website with compelling images, videos and stories from the 2019 Special Olympics New York Winter Games. This course is the first of a two-semester sequence exploring the fundamentals of photography, with emphasis on the development of strong photographic skills as they relate to the principles of DSLR cameras, lenses, choosing and using perspective, lighting and related aspects of photographic skills. Principles of creativity, craftsmanship, applied photographic theory and presentation will be used to solve visual communication problems. This course is the second of a two-semester sequence of study further enhancing photographic practices. Emphasis is on improving photographic skills learned in Photography I. Skills include studio lighting, lighting on location, and macro photography. Principles of creativity, craftsmanship, and applied photographic theory will be used to support technical applications. The first course of a two-semester sequence that will develop photographic skills and approaches required in scientific photography. The course will develop scientific methods required for standardized imaging. Appropriate subjects including contact lenses, rice grains and other challenging, nearly invisible objects will be explored. Students will investigate unique illumination techniques in order to reveal a subject's unusual characteristics. Techniques including polarized light and fluorescence reveal what cannot easily be observed without specialized photographic imaging and image processing. In addition, the course will expose students to ethical problems encountered in scientific imaging including managing and processing digital data. This is the second course in a two-semester sequence that explores new and different photographic skills and methods useful in scientific photography not covered in Scientific Photography I. Appropriate subjects will be explored in each of the various assignments designed to develop methods used in various scientific applications. 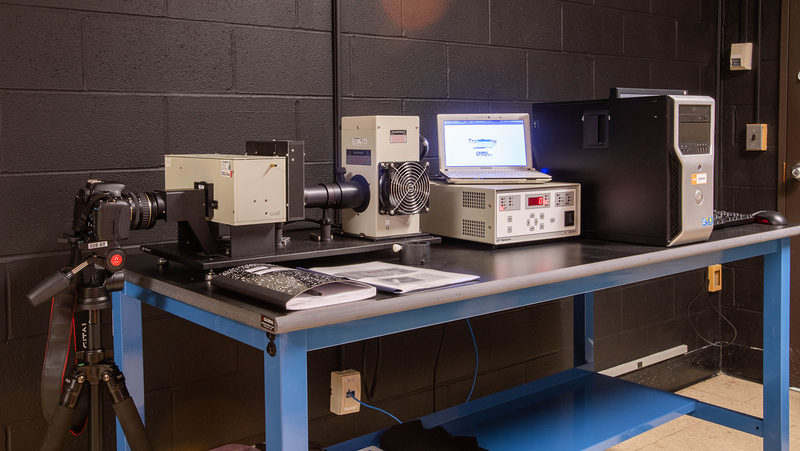 Students will investigate new ways to reveal a subject's characteristics such as imaging with ultraviolet and infrared revealing what cannot be observed without photographic imaging and image processing. The course will expose students to the processes required to produce scientific research as well as scientific posters. This course will introduce students to career options following graduation. Alumni from various industries will visit classes to discuss their careers. Professional practices, including resume writing, interviewing techniques, professional communications, as well as writing proposals, bids, contracts, and technical reports will be taught. Additional topics will include intellectual property, workplace ethics, and presentations. This required course will investigate advanced photographic technology, with an emphasis on the study of the components of photographic imaging systems. Geometrical optics, color management, printing technologies and video standards will also be studied. Working in a lab environment, students will evaluate how technology can be optimized and where its limitations might be found. This course will explore the anatomical structure, function, and physiology of the human eye and brain and their relationship to vision, color, visual perception and imaging systems. Both the physiology and psychology of visual perception will be explored. The concepts of depth perception in human vision as they relate to both two-dimensional and three-dimensional contexts will be explored. Relationships of image brightness, contrast and how visual processes lead to seeing will be addressed. This course will explore basic principles of effective desktop publishing specific to the needs of corporate, governmental, industrial, and scientific communities. Students will explore fundamental layout and design principles required to produce a variety of visually effective digital and print media pieces, including resumes, posters, brochures, flyers, books, and magazines. Assignments are designed to emphasize the effective use of design and typography specific to print media as well as other digital delivery methods where the delivery of facts is critical. At least one cooperative or internship experience is required of all photographic and imaging technologies students for graduation. Co-ops are an opportunity for students to gain experience in their field and are generally completed between their second and third academic years. The RIT Career Services and Office of Cooperative Education assist students in identifying co-op placements and opportunities. Co-ops are typically paid work experiences and can be either part-time (10-15 hrs/wk) or full-time (min 35 hrs/wk). All co-ops must fall within an RIT term (fall, spring, summer). This course is the first of a two-term sequence designed to begin work on a major student project. The topic will relate to an aspect of the photographic sciences, including but not limited to photomicrography, image testing and quality, ophthalmic imaging, color, or other relevant topics. In this course, students will conceive and design a long-term project or experiment, including a proposal, description, goals, timeline, resources, and funding (if necessary). The student will work to construct and refine the proposal, and will identify a faculty advisor if needed for the execution of the project in PS Capstone II. The class sessions will focus on project planning and provide in-progress discussion of proposals. The project will be completed during the second semester (PHPS 402 – Photographic Sciences Capstone II). Projects will be student initiated within an individual’s area of expertise. Completed projects will constitute a substantial portfolio/professional project. Students will execute a major project proposed in the first course of the sequence: PS Capstone I. Projects may address subjects related to the photographic sciences or other relevant topics. Students will provide a progress report to the course coordinator at set intervals. Class will meet weekly to provide discussion and feedback on individual projects. † Please consult adviser for a complete list of courses that fulfill the specialization requirement. ‡ Students choose one of the following course sequences: Programming for Photographic Sciences (PHPS-331) and Digital Image Processing (PHPS-332) or 4D Design (FDTN-141) and Media Production and Technology (PHPS-217). § Please see an adviser for a complete list of photographic sciences electives. ** Please see an adviser for math and science course recommendations. †† Students choose one of the following science sequences: Human Biology (BIOL-111) and Human Biology I Lab (BIOL-112) or College Physics I (PHYS-111) and College Physics II (PHYS-112). This course will expose students to specialized camera and illumination techniques required to produce photographs of the unseen world. Images will be made in the magnification range of 1:1 – 20:1 (at capture) using various types of cameras. Lighting, applied optics, subject management techniques as well as extended depth of field methods will be evaluated in theory and practice. Students will be challenged by interesting problems in lighting and depth-of-field, which are not required in more traditional photographic work. Many assignments will require the use of software to improve images. The course’s final project will require students to publish to an online journal a comprehensive study of imaging methods to including various pre-specified images. The microscope has proven itself to be an important tool for investigation since its invention in 1595. This course has been designed to go well beyond the basics required for the creation of magnified images of invisible objects. Students will explore objects using a variety of microscopy techniques including differential interference contrast, fluorescence, phase contrast, reflected light and polarized light. The course will investigate both the optical and digital enhancement techniques made possible in contemporary times. Video, motion stopping using electronic flash as well as specimen preparation will be part of the coursework. This is the first course of a series that will investigate proper patient management and camera/photographic techniques required in contemporary ophthalmic photography and imaging. Diagnostic evaluation of ocular anatomy and physiology utilizing special cameras/equipment is presented. 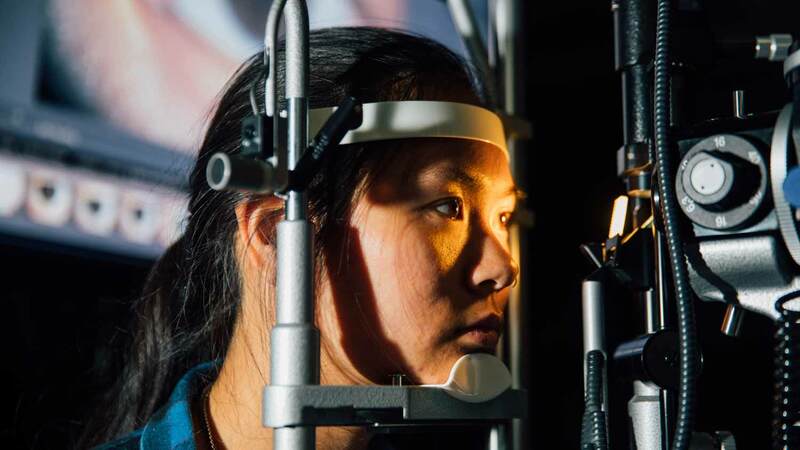 In addition to retinal fundus photography, students will learn diagnostic medical imaging techniques such as fluorescein angiography, fundus autofluorescence, optical coherence tomography and scanning laser ophthalmoscopy. Retinal disease processes and recognition will also be investigated. † Please see an adviser for math course recommendations. ‡ Please see an adviser for science course recommendations. This course will introduce students to programming as a data visualization tool and a programming language (Python). Students will learn the various capabilities of the language and how it can be used to rapidly prototype solutions to various imaging-related problems. As these solutions are developed, fundamental concepts of programming and data structures will be introduced. This course covers the principles and fundamental techniques in writing digital image processing algorithms and computer programming techniques that are used in implementing said algorithms. Topics covered will include color space transformations, basic image manipulation, and spatial and frequency manipulations. This course investigates the principles of color science including theory and application. Topics include CIE colorimetry, color transformations, color order systems, metamerism, color inconstancy, color tolerance equations and spaces. This is the second in a two-course required imaging core sequence, the first being Applied Color Theory. Students develop the background and skills required for successful laboratory practice in color measurement as used in scientific research. This includes data management, data analysis, and technical writing. Topics include the optical and electronic design of spectroradiometric and spectrophotometric instrumentation, the use of standard reference materials for calibration, data analysis techniques, properties of objects and radiation, evaluation of instrumentation and psychophysical experimentation. This course provides students with immersive experiences investigating the design of imaging systems and related technology with an emphasis on device characterization and image quality metrics and standards. Input and output standards including photographic and video systems will be covered in detail. Additionally, the course will explore measurable and subjective evaluations required for image quality. This course, primarily designed for photographers, will provide students with a hands-on experience using software and hardware used in the imaging industry. It has been organized to expose students to managed color from capture to output. The course will review industry standard color instruments and give the essential knowledge and skills required to solve problems prevalent in the photographic field. Critical problem solving of accurate color reproduction across media will be investigated. With the advancement of photographic technologies coinciding with an increased maker movement, the potential to create or modify photographic instrumentation for specific purposes has never been greater. This class will provide students with hands on experience in designing, testing and building devices for use in technical photographic applications. Students will gain experience by extracting data from images and/or using images as a source of measurement. Projects will change each semester, but examples might include using microprocessors to control cameras, the creation of high-speed infrared triggering systems, or the building dedicated specialized LED light systems for use in the infrared or ultraviolet imaging. This course will investigate the theory and applications of photographic systems designed to record events of very short duration. The images will be analyzed to gain a more complete understanding of short duration events. Included in the course will be comparisons of the characteristics of high-speed motion picture and digital video cameras, sequencing and timing control devices, as well as time magnification relationships. Basic characteristics of intermittent and rotating prism cameras, rotating mirror and drum cameras, synchronization systems and timing controls and high-speed flash and stroboscopic systems will also be covered in some detail. Introduction to high-speed video recording as well as the introduction to shadowgraph and schlieren imaging systems will be included. 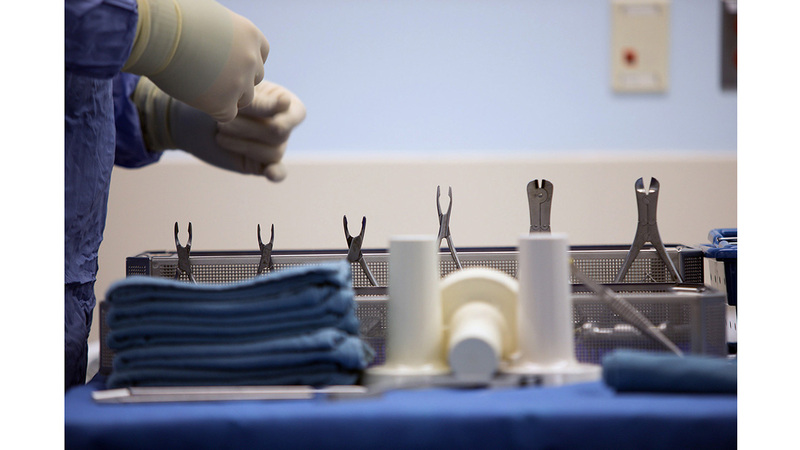 Students will gain basic experiences not only in the operation of equipment but also in proper planning, setup and basic data reduction techniques. † Please see an adviser for math Perspective course recommendations. ‡ Please see an adviser for science Perspective course recommendations. § Please see an adviser for a complete list of professional electives. Biology is required for the biomedical photographic communications option of photographic sciences. An employment survey of graduates indicates that 95 percent are employed within three months of graduation. Graduates are employed as ophthalmic photographers, forensic photographers, surgical photographers, photomicrographers, medical photographers, latent finger print examiners, core imaging facility managers, technical support engineers, imaging specialists, imaging engineers, public relations photographers, research associates, dermatology photographers, research photographers, and image quality engineer. The Photographic Sciences Student Association promotes professional and social interaction among students and professionals from the imaging and photographic technology industries. The association regularly invites alumni in professional imaging fields to present lectures and demonstrations.